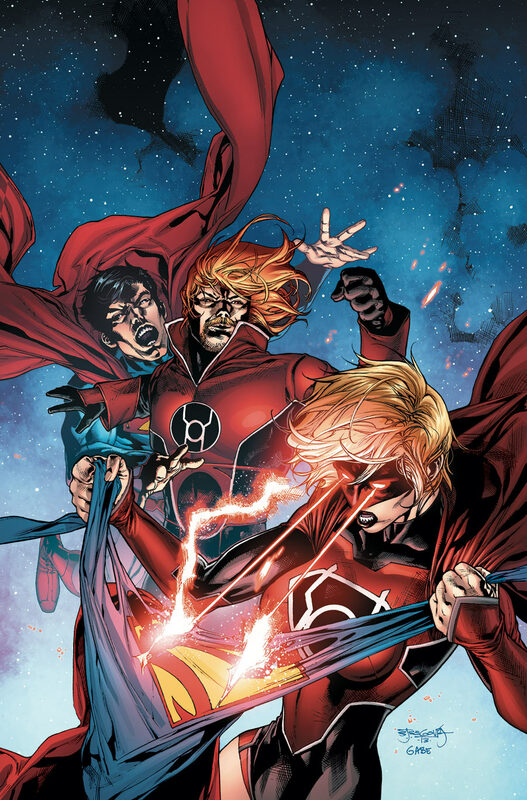 In a recent interview with Comic Book Resources, Green Lantern scribe Robert Venditti and Red Lanterns writer Charles Soule discussed all things Lanterns, including Supergirl joining the Red Lanterns, the return of Atrocitus, and the challenges both Hal Jordan and Guy Gardner will face leading their respective corps. Supergirl joins the Green Lantern universe in February’s issue. Cover art by Billy Tan. Supergirl’s entrance into this corner of the DC universe will occur in the February issues of Green Lantern and Red Lanterns. Previously announced as a flipbook that will combine the two issues, the appearance of this new Red Lantern will warrant an over-arching story that connects the two stories together. 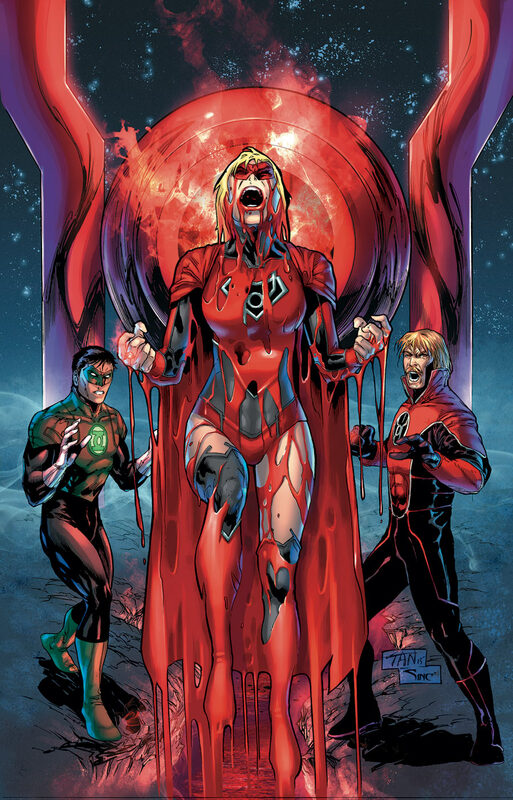 Soule went on to confirm that Supergirl will become a regular member of the Red Lanterns supporting cast that also includes Guy Gardner. 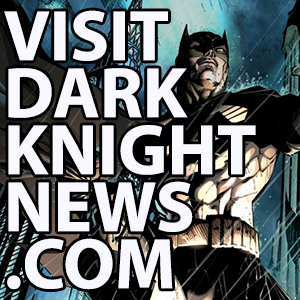 “There’s a lot of stuff she’s been working through, and the idea of bringing her to the Red Lanterns is to explore and develop that and see what we can do to help her with this — I call it a therapy session,” Soule said. Guy Gardner will also debut a new look in the coming months in order to exhibit his transition from military trooper of the Green to wild and radical leader of the Reds. Guy Gardner’s new look will officially debut in issue 27. Cover Art for Issue 28 by Alessandro Vitti. Beyond February’s mega-issue, Guy Gardner will be leading the Red Lanterns as they patrol Sector 2814, including Earth. 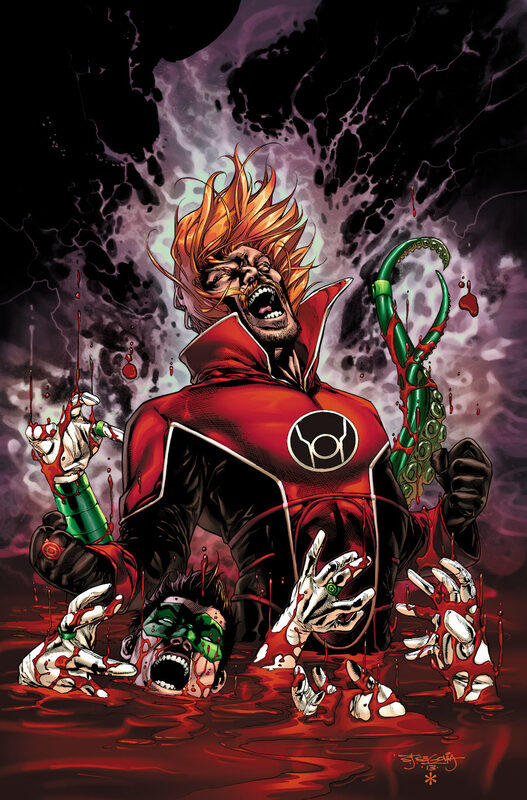 Atrocitus will make his attempt at vengeance against Guy Gardner, and the fate of Earth will hang in the balance. As for Hal Jordan, he will have to deal with enemies of the corps attempting to seize control, the poor reputation of the Green Lanterns, and fighting to regain control of his home sector that he swore to protect. Hal’s new role as leader of the Green Lanterns will change his perspective, make things more difficult for him, and impact the stories being told in Green Lantern. Big changes and climactic battles are coming to the Green Lantern universe. 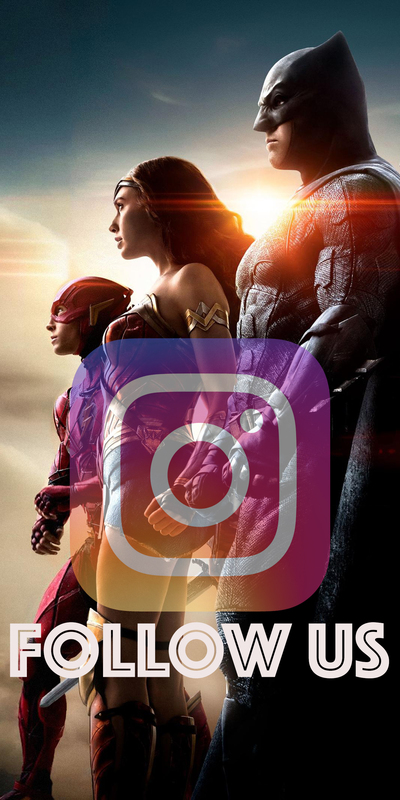 What do you think about everything that’s happening? Be sure to sound off in the comments below. 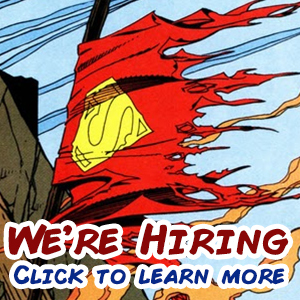 Supergirl will be a member of the Red Lanterns for the foreseeable future. Issue 29 cover by Vitti.